Prophet Muhammad (peace be upon him) replied: "Grieve not, for verily Allah is with us"
The Breaking of All Connections with One's Home, for the Sake of Allah Alone. After his companions had left for Yathrib, the Prophet Muhammad (peace and blessings be upon him) stayed in Mecca, waiting for permission from Allah to leave the city. Abu Bakr and Ali stayed with Holy Prophet (peace and blessings be upon him). There were also some Muslims whom Quraysh had not allowed to leave. Abu Bakr kept asking the Prophet (peace and blessings be upon him) to allow him to go to Yathrib, but the Messenger of Allah (peace and blessings be upon him) kept saying, 'Do not be in a hurry; it might be that Allah will give you a travelling companion.' The leaders of Quraysh assembled in the house of their ancestor, Qusayy, as was customary when they had an important decision to make. 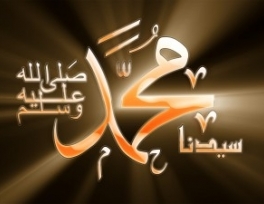 They had to find a way of getting rid of the Prophet Muhammad (pbuh), before he was able to join his friends in Yathrib. As they were busy arguing, the Devil appeared at the door in the form of a noble and handsome old man. When they saw this elderly gentleman standing there, they asked him who he was. He said he was a Shaikh from the mountains who had heard what they meant to do and thought he might be able to help or advise them. They thought he looked like a wise man, so they invited him in. Each leader then started to put forward ideas about what should be done, but none of them could agree about which was best, until AbuJahl told them his plan. This was that each clan should provide a strong, young warrior, each of whom would be given a sword. All the young warriors would then wait outside the Prophet's house and together attack him as he came out. In this way they would be rid of him but as the blame for killing him would fall on all the clans, the Prophet's family would not be able to seek revenge. When he heard this, the Devil in the disguise of the old man, said, 'That man is right; in my opinion it is the only thing to do!' The leaders of Quraysh then left to carry out their plan to murder the Prophet (peace and blessings be upon him). The young men waited the whole night and were furious when, in the morning, they saw 'Ali instead of the Prophet (peace and blessings be upon him) coming out of the house.They realised that their plan had failed completely. In the meantime, the Prophet (peace and blessings be upon him) went to Abu Bakr's house and told him, 'Allah has told me that now is the time for us to leave Mecca.' 'Together?' asked Abu Bakr. 'Together', the Prophet (peace and blessings be upon him) replied. Abu Bakr wept for joy, because now he knew that the travelling companion he had been promised was the Prophet (peace and blessings be upon him) himself. 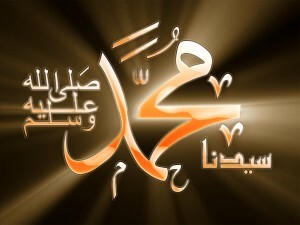 Then he said,'O Messenger of Allah, these are the two camels which I have kept ready for this.' And so, the two of them left for a cave in Thawr, a mountain to the south of Mecca where they intended to hide. When Quraysh found out that the Prophet (peace and blessings be upon him) and his companion had gone, they set out after them, searching in every direction. Three days later they finally reached the cave where the Holy Prophet (peace and blessings be upon him) and Abu Bakr were hiding, but a strange and wonderful thing had happened. A spider had woven its web right across the entrance to the cave and a dove was nesting with her mate nearby. As the Meccans stood in front of the cave, with only the spider's web separating them from the fugitives, Abu Bakr began to fear for their safety. He whispered to the Messenger of Allah (pbuh), they are very close. If one of them turns we will be seen.' But he was comforted by the Prophet's reply: "What do you think of two who have with them Allah as their third? 'Grieve not, for verily Allah is with us". (Koran ix.40) . After a few moments the search parry decided that no one could have entered the cave recently, or the spider's web would not have been complete and the dove would not have nested there, and so they left without searching inside. Three days later the Prophet (peace and blessings be upon him) and Abu Bakr thought it safe to leave the cave. Abu Bakr's son, 'Amir, had arranged for three camels and a guide to help them continue their journey to Yathrib. 'Amir would ride behind his father. The leaders of Quraysh, meanwhile, returned to Mecca and offered a reward of one hundred camels to whoever captured the Prophet (peace and blessings be upon him). Among those who went in search of him was a famous warrior. He was, in fact, the only one to catch up with him, but whenever he came close, his horse would suddenly sink up to its knees in the sand. When this had happened three times, he understood that the Holy Prophet (peace and blessings be upon him) was protected by a power stronger than anything he had known, and so he went back to Mecca. On arriving there he warned everyone against continuing the search, relating what had happened to him.